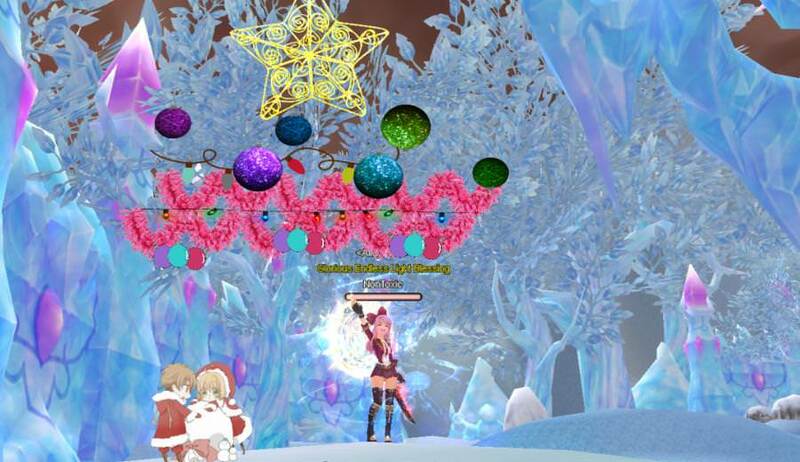 This year again, our lovely Game Sages Team created ongoing Events to celebrate X-mas in the fullest! Reply in the Daily Threads of each day and if you find the answer, you will receive a reward the next day!! 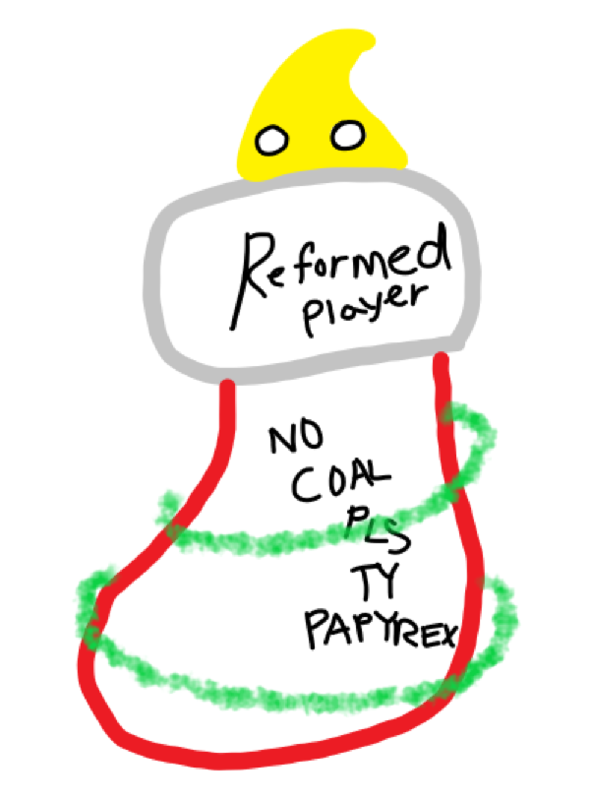 Tell me Santa Parex, how can I participate? Well, that's very simple! 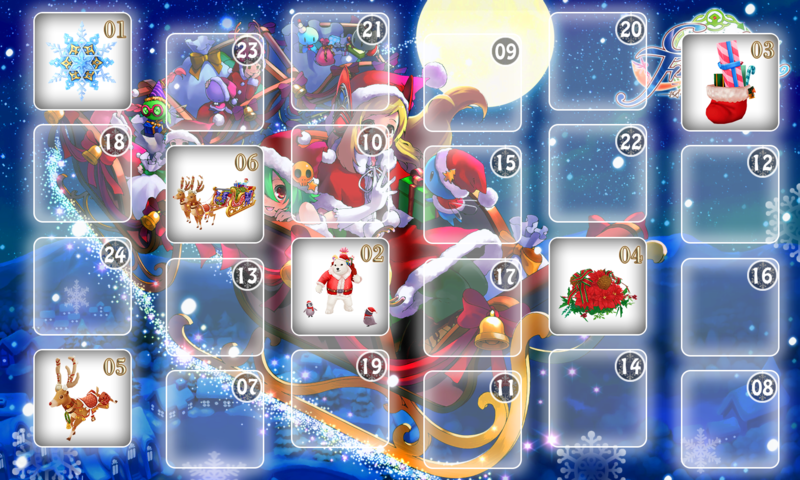 Every day a new Advent Calendar window will open and be posted in the EVENT section of our website by the game team. You will see either a question or a challenge posted here. Find the solution to the challenge and send your answer before 3:00 AM (Server time) the next day to be eligible for prizes (or post your entry on the forum for certain challenges). It's THAT easy! Warning! Santa Parex is very meticulous, so you must spell your answers and names correctly in order to redeem your rewards! 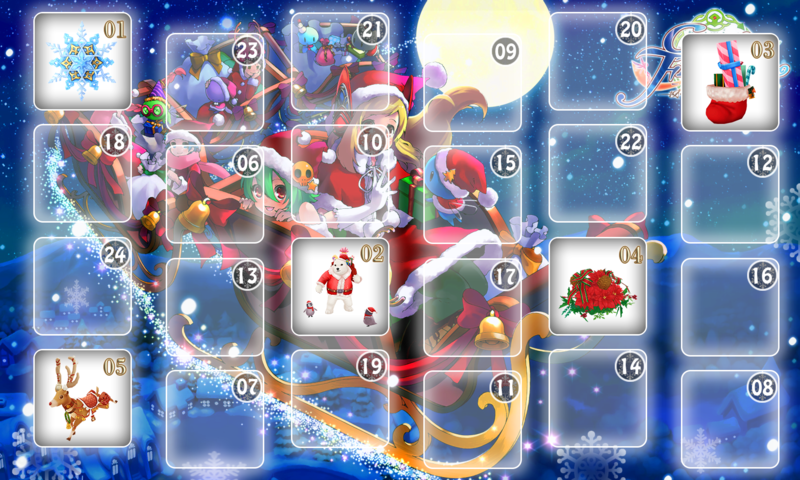 Every day, 15 winners will be selected from the eligible entries and they will receive some great Christmas gifts! The answer to the question along with the winners will be posted the following day. 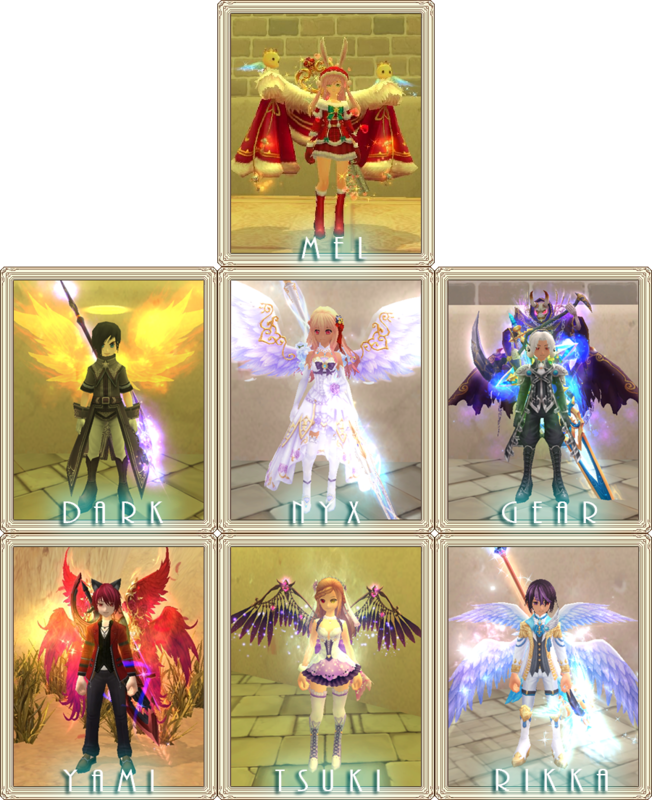 You may join from Sanctum OR Siwa server (not both) during the duration of the event. The form will be posted each day along with the challenge to submit your answer. Your gift will be sent shortly, in some cases this may take a bit of time. So please be patient with us! 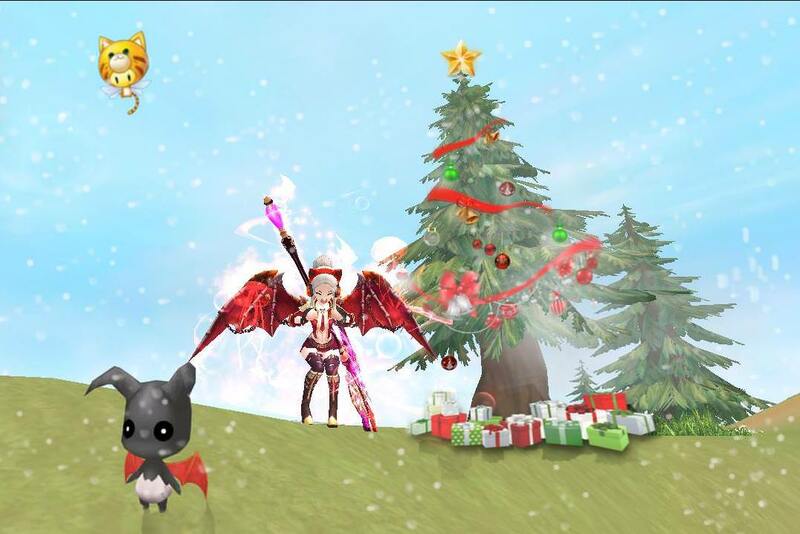 Prizes may be sent via mailbox or item mall (IM) so do not be alarmed if you receive random rewards in your IM! Don't worry! At the end of month we'll enter all the participants names into a raffle! Only those who have actively participated throughout this event are eligible. Note: Only ONE entry per person per day is allowed! Submitting with multiple accounts will disqualify you from the entire event! HOW AND BY THE WAY WHAT IS THIS SNOWFLAKE DOING HERE?! I WONDER WHAT IS IT FOR... ??! That's it! 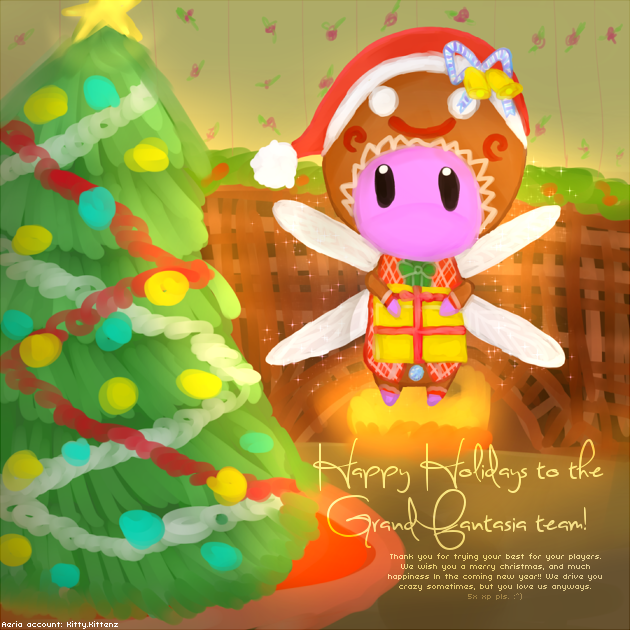 Good luck and have fun this Holiday season! Everyone likes a good riddle. Riddles can be questions or statements, typically with a witty answer. Which Christmas carol do fighter classes sing? Please submit your answer >[here]< !! It's time to get into the holiday spirit! What songs are usually stuck in your head year after year during the holidays? Trivia questions will pertain to Grand Fantasia! You are free to use the database, wikia, forums, etc. as resources. Sometimes that might not be necessary because you can find the answers within the game client! Challenge: Solve the trivia question. On which map can I find the entrance to the ruins of Vilefiend Spire? Ditloids are a type of word puzzle; the number and words, like if, and, the, at, etc., are given while players need to decipher the phrase. 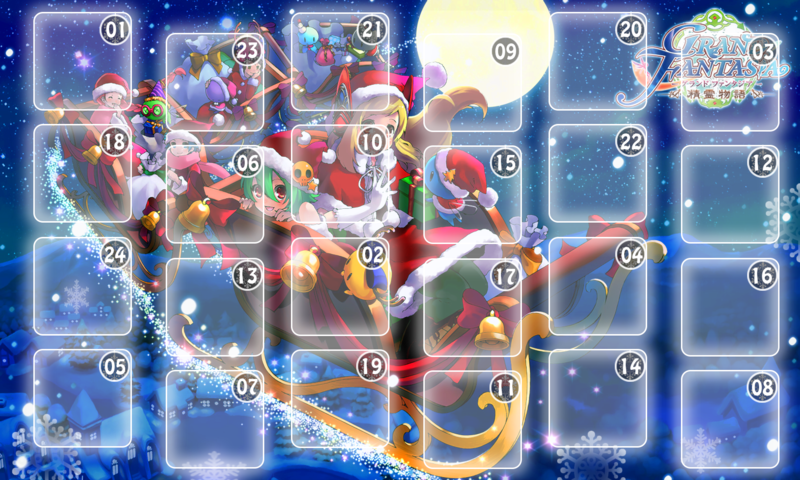 Hint: The ditloid is Christmas related (and refers to something after the 20th century), not Grand Fantasia related! Note! Late answers are not accepted! Posting multiple answers gets you ignored! Reminder: Using multiple accounts = disqualified from the entire event. Many of us have spent our youth reading Christmas stories or watching marathons of Christmas movies during the winter. Which one is your favorite? Write about one of your favorite Christmas stories or movies and let us know why! Santa is looking for some useful items to hand out this year instead of your conventional gift. Can you guess what he has in stock for you? Challenge: Name the item using the riddle's description. Although it is not a gemstone, it is still placed on a ring. No need for codes, nor locks, a backpack is the only thing you should bring. What item am I? Day 5 Answer: Thank you to those who shared their stories and movie experiences with us! Congratulations to the winners!! Word searches are a grid of letter clusters and hidden words. 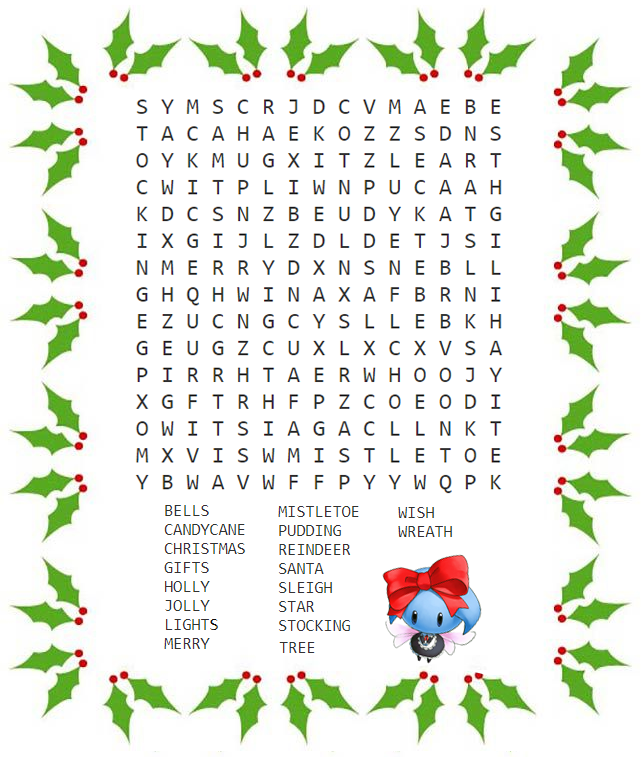 Can you help Santa find the Christmas related words? Challenge: Complete the word search. Please ensure to take a screenshot of the completed word search. Please add your account name to the screenshot when finished before submitting! Upload the image and send in the image link as your entry! Word Search - Click me! 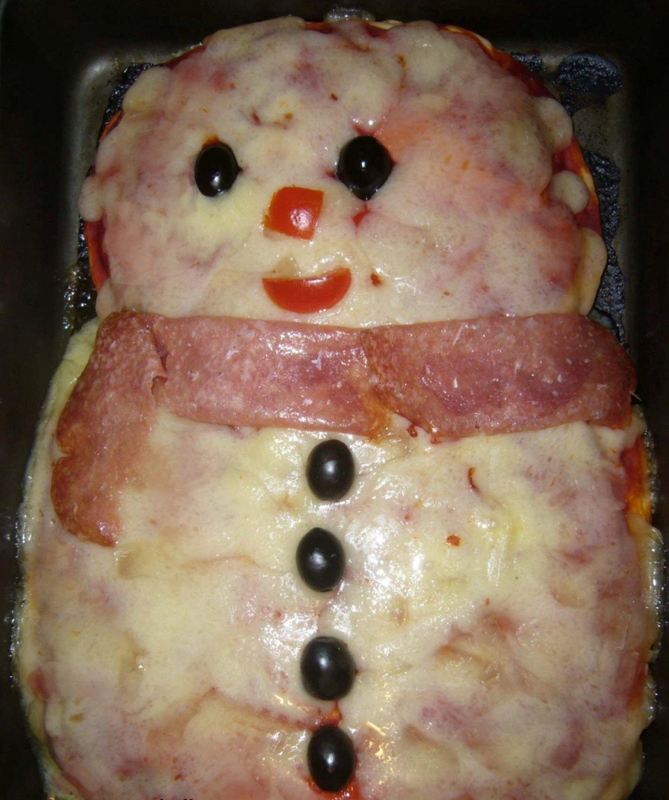 Santa is looking to cook you a delicious dinner for the holidays. Unfortunately, the recipe was jumbled up. Can you help him figure out what the ingredients are? Challenge: Name the 5 ingredients. Day 7 Answer: Thank you to all who completed the word search, and congratulations to the winners! 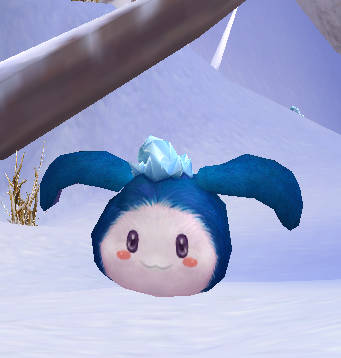 Santa accidentally ran over a strange creature with his sled the other day and looks to your for help in identifying it. After all, you are a Sprite Messenger and quite skilled at fighting monsters across Saphael! Word ladders give you a start and end word. You must go along the ladder by changing only 1 letter to get to the next step! Challenge: Complete the word ladder. 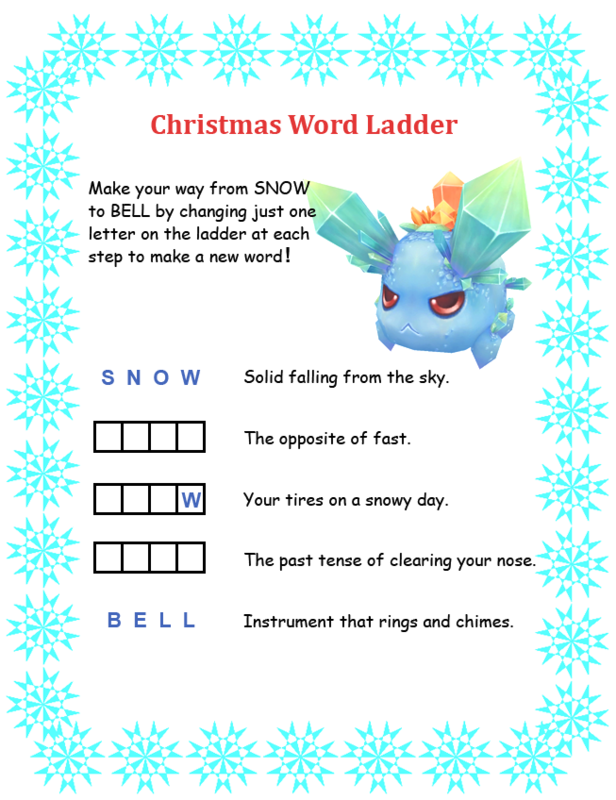 Please ensure to take a screenshot of the completed word ladder. Please add your account name to the screenshot when finished before submitting! Upload the image and send in the image link as your entry! Word Ladder - Click Me! AHHHH! Santa's reindeer were seen crashing into a chimney the other night. 3 of the poor things have a broken leg. Santa must be able to deliver his presents and needs 3 replacements. Please help him out! Challenge: Find 3 monsters to replace the reindeer. Search through Saphael, Deepfathom, Time Rift and Alternative Dimension. 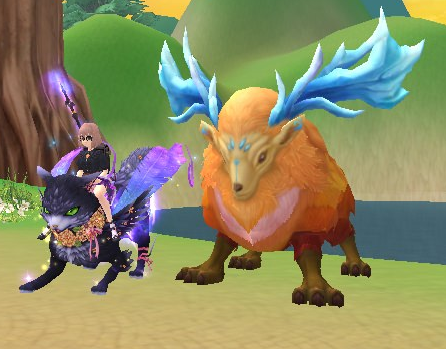 Take a screenshot of 3 monsters you think would be best to replace Santa's reindeer! 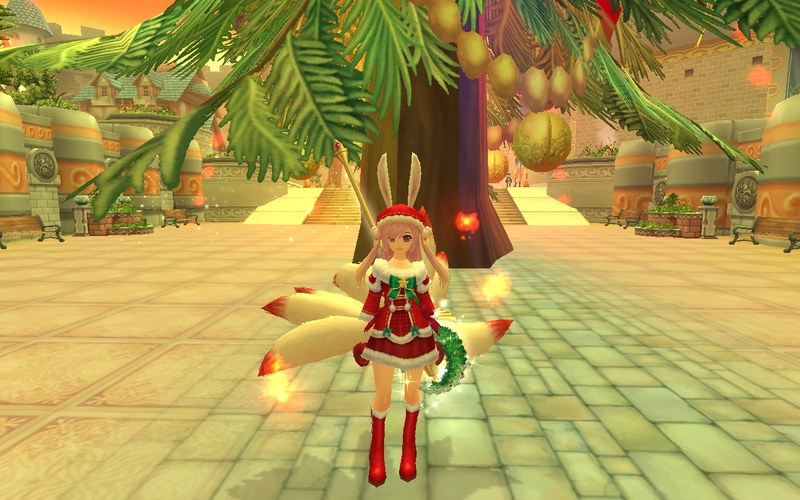 Last year's patched Christmas event came with a Kaslow invasion of which animal? Hint: They had the tendency to repeatedly say "*Creak* *Creak*"
Day 11 Answer: You are brilliant, Sprite Messengers! Thank you for finding such suitable substitutes in such short notice! Santa will be pleased. Santa Parex has started his celebrations early in anticipation for Christmas! He knows he will be up late for the next few weeks handing out presents. Can you help him get his next drink? Challenge: Find your way through the maze. Please ensure to take a screenshot of the completed maze. Please add your account name to the screenshot when finished before submitting! Upload the image and send in the image link as your entry! Saphael is full of beauty and wonders. It would be a shame to cut one of its' trees just to put up for a few months. Why not decorate it directly where it stands? 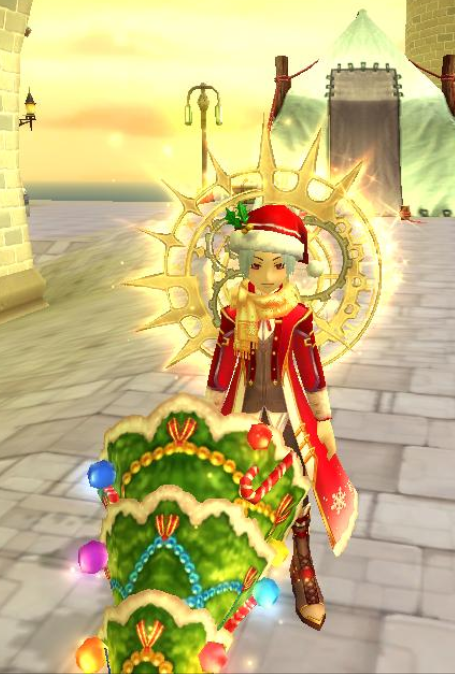 Challenge: Decorate your Christmas tree. 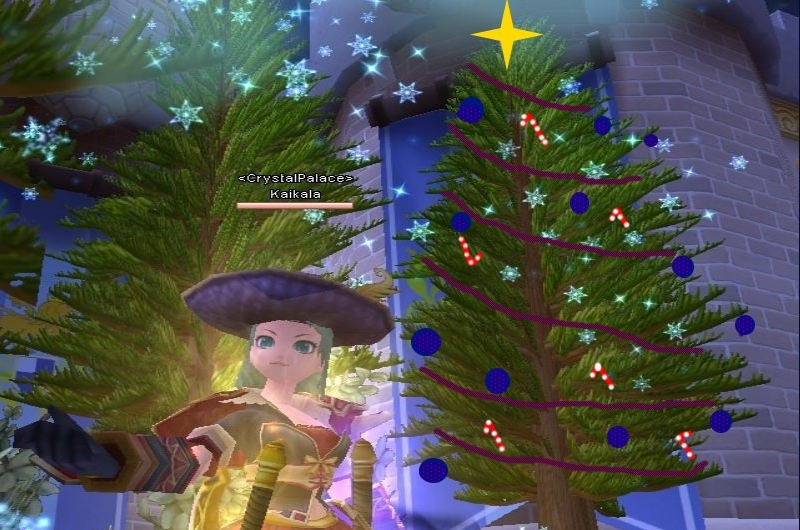 Find a tree in-game in any town or on any map. 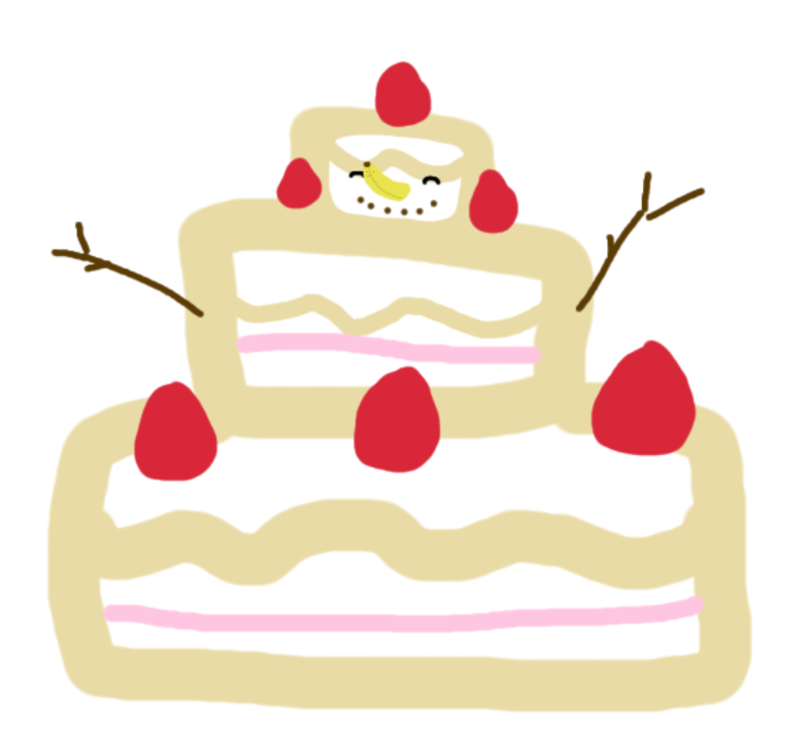 Decorate it using any software program of choice. Please ensure to take a screenshot of the completed work. Please add your account name to the screenshot when finished before submitting! Upload the image and send in the image link as your entry! Day 13 Answer: That's enough celebration for Santa! Now he must get to work and send out the gifts. Thank you Sprite Messengers and congratulations to the winners! 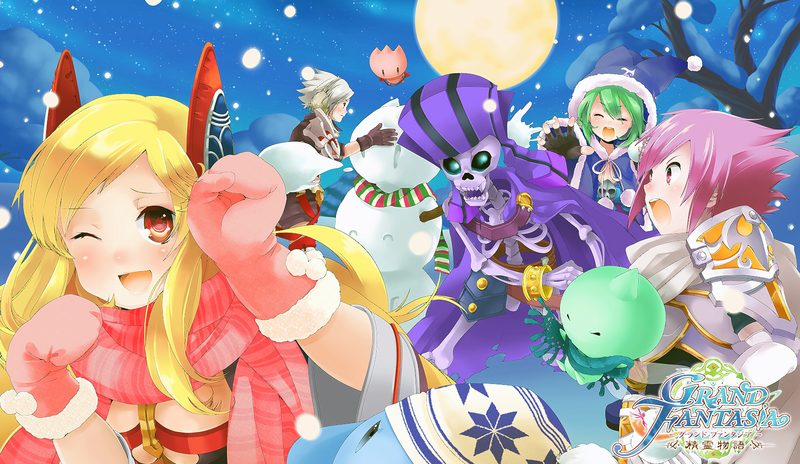 Your Game Sages are excited to spend the holidays with you! They've even dressed for the occasion! Can you find them in-game? Challenge: Take a picture with any Game Sage. Your who? Game Sages! They're usually lurking in Kaslow on World or US channel. You can also poke them on discord to come online! Don't be shy to get to know us! Day 14 Answer: These trees are all so beautiful. Your neighbors will be most envious of your decorative skills. Congratulations to the winners! See some of your fellow Messenger's beautiful creations here! Cropped images done to not release anyone's account name without their consent. Ugh. Santa is having a harder and harder time going down the chimney. It's about time he's started a diet. Challenge: Name a drink and food replacement for Santa's milk and cookies. 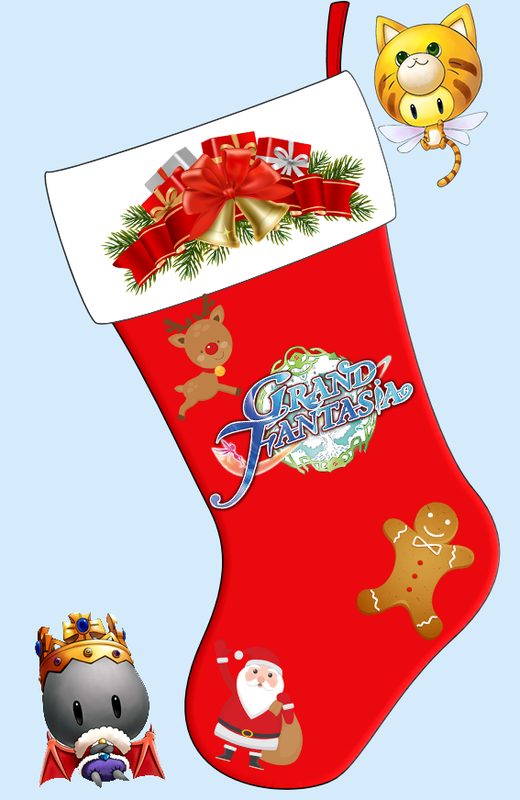 Find a drink and food replacement ONLY using items from Grand Fantasia. You are free to make strange cocktails or meals as you please. Be creative! 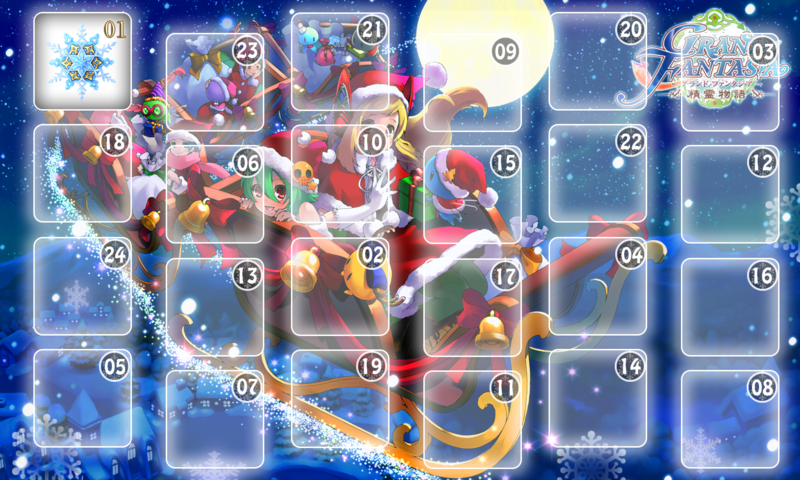 Day 15 Answer: The Game Sages are quite humbled at meeting all of you. Thank you for taking the time to seek them out! Congratulations to the winners! Oh NO! The penguins from the North Pole have gotten lose. We need to find them before they start messing with the ornaments! Can you help Santa find the penguins? Challenge: Find the 5 penguins around Saphael! 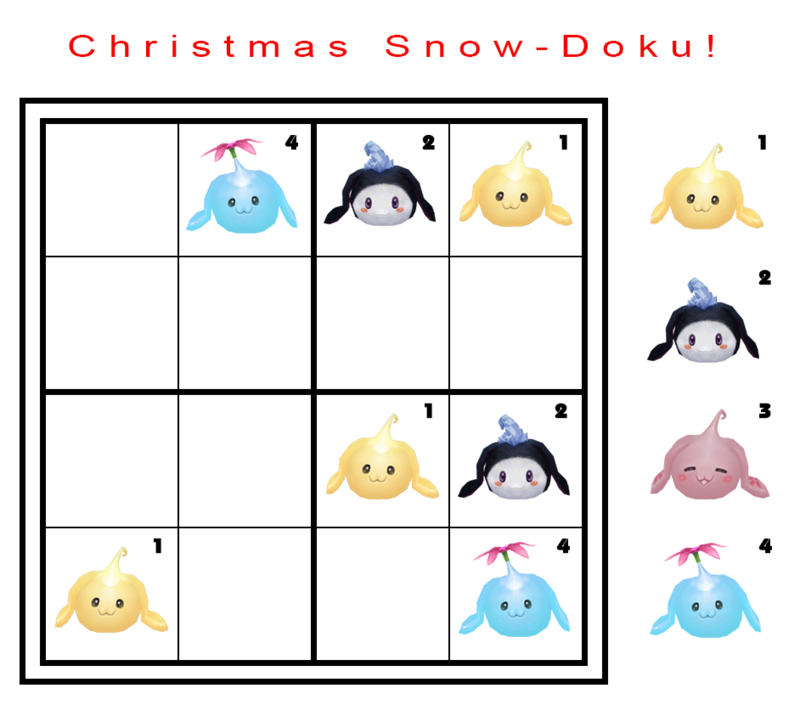 Please give the map + coordinates for each penguin you find and submit all 5 map/coordinates as your entry! Day 16 Answer: Yum! These delicious ideas will surely help Santa lose weight (or if anything the beer will keep him working hard!) We thank you for helping him down the chimney. Congratulations to the winners! Grand Fantasia's artwork has been around for a long time. Can you piece together the puzzle to reveal the image? Please ensure to take a screenshot of the completed puzzle. Please add your account name to the screenshot when finished before submitting! Upload the image and send in the image link as your entry! Day 17 Answer: Phew! Crisis avoided, thank you for gathering those pesky penguins! Congratulations to the winners! Santa is tired of hanging around elves and reindeer all day long. He needs a new friend. Can you build him one? 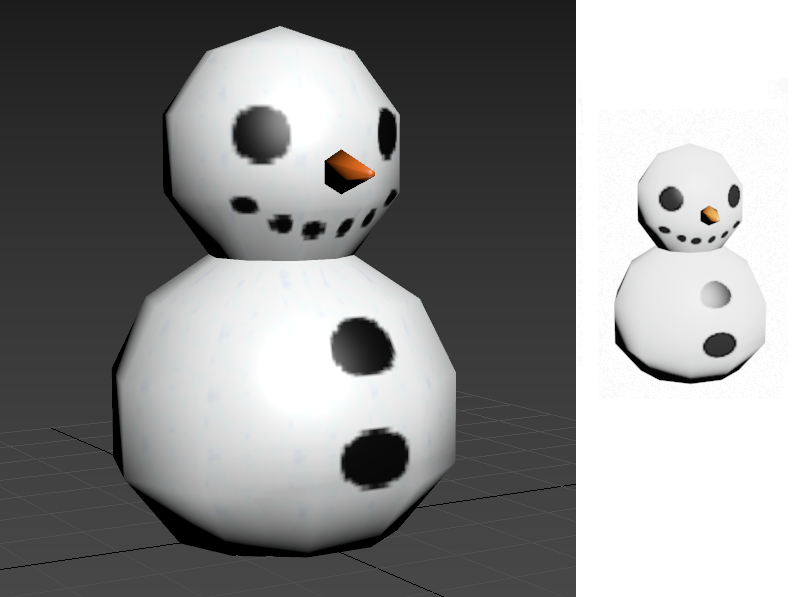 You can use anything except snow to make your snowman! Please ensure to take a picture of the completed work. Please add your account name to the screenshot when finished before submitting! 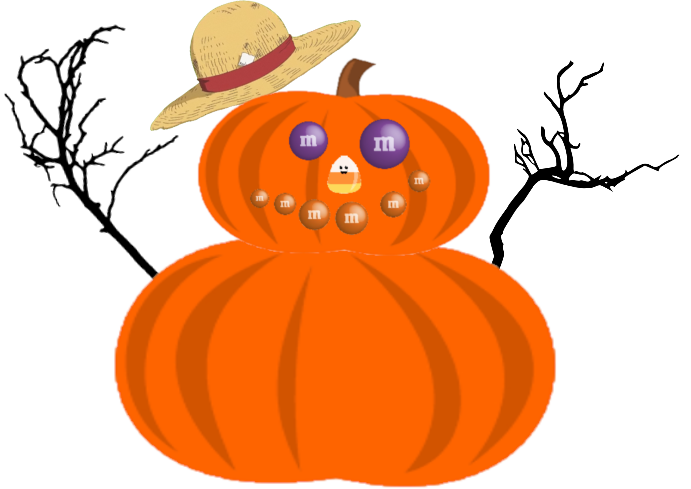 Upload the image and send in the image link as your entry! Day 18 Answer: Isn't it lovely? You've managed to piece it all together, thank you! Congratulations to the winners! 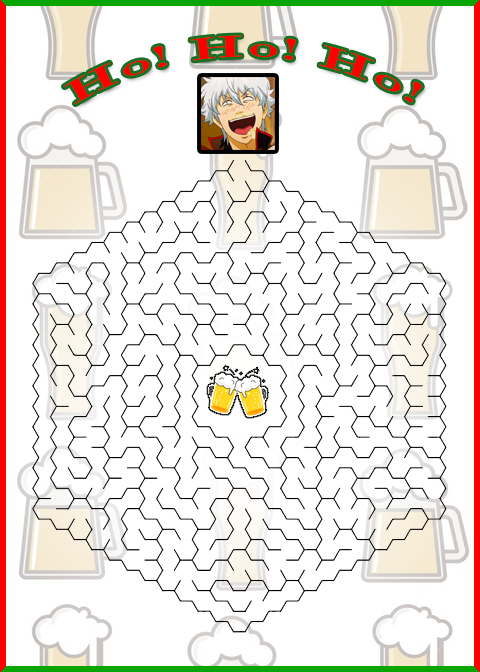 Santa is stuck on a puzzle! Can you help him complete it? Make sure that each row, column, and 2x2 square only have one of each image! Challenge: Solve the Sudoku puzzle. Sudoku Puzzle - Click Me! Day 19 Answer: What wonderful friends you have all made. Santa will never be lonely again. 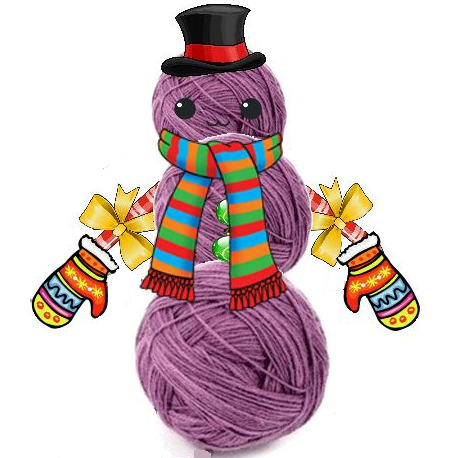 Check out your fellow Messenger's friendly creations here! And some of the lovely snow creations too! Images edited/cropped to prevent releasing player's info without their consent. 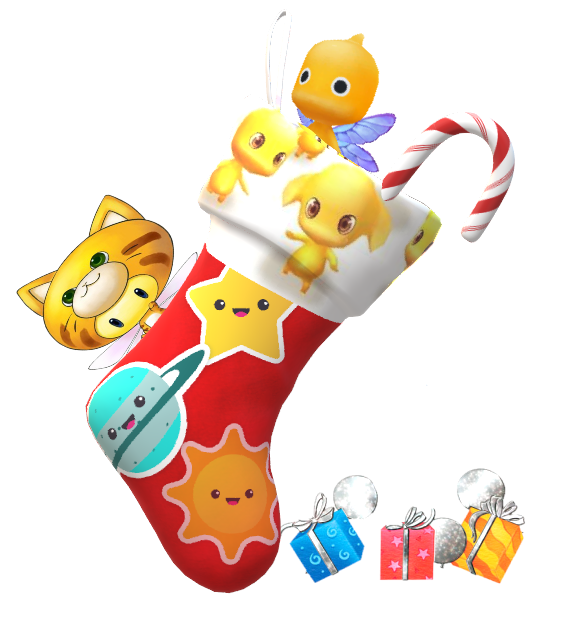 If there's no more room under the tree remember to hang up your stockings! 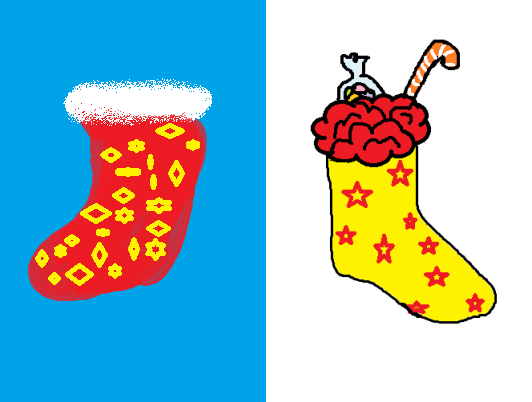 Challenge: Decorate a Christmas stocking. 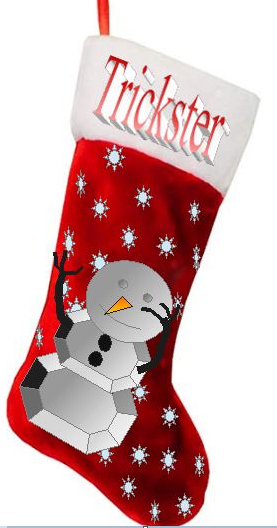 You may use any medium or material to decorate your stocking. Reminder: If you are not following the rules and not putting your account name your entry will NOT count! 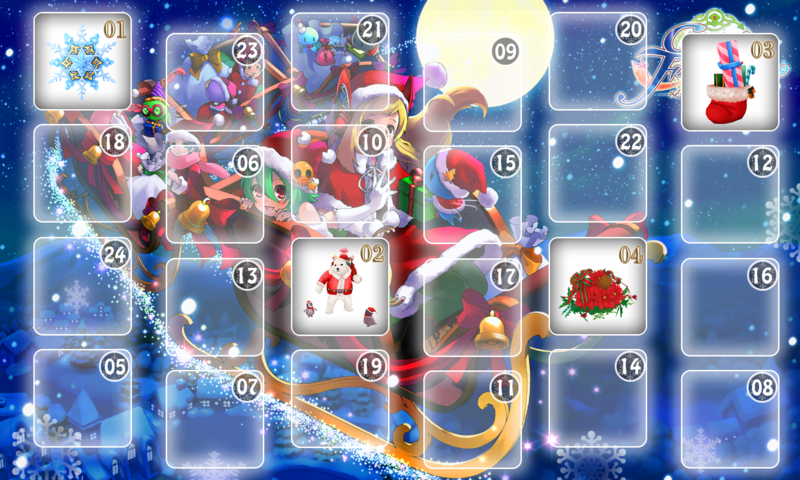 Day 20 Answer: What does Jelly Rabbit taste like? Oop, no sense in contemplating other things, there are presents to be delivered! 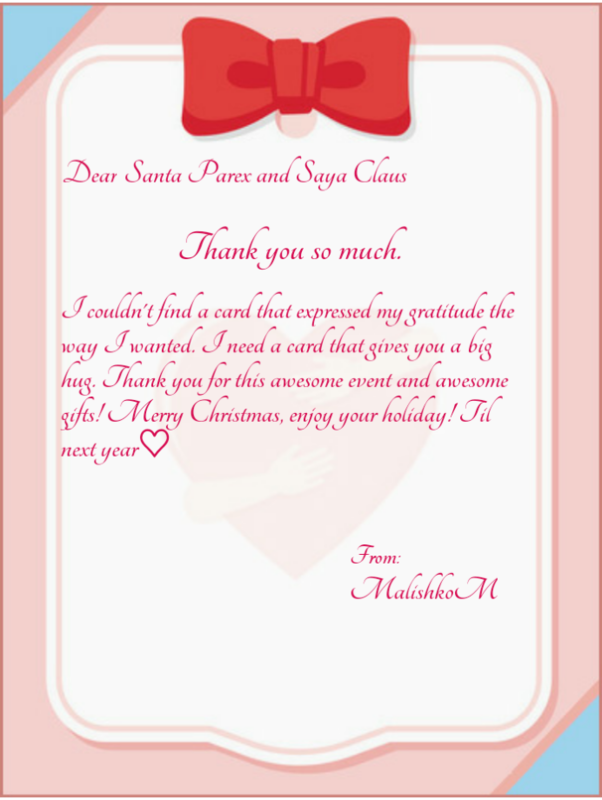 Thank you for helping Santa with his puzzle. Congratulations to the winners! Santa Parex is looking to land his sleigh somewhere nearby. However, Saphael can be dark and full of terrors. The shadow of a dragon was seen flying around Kaslow. Can you identify which dragon was seen so it may be slain? 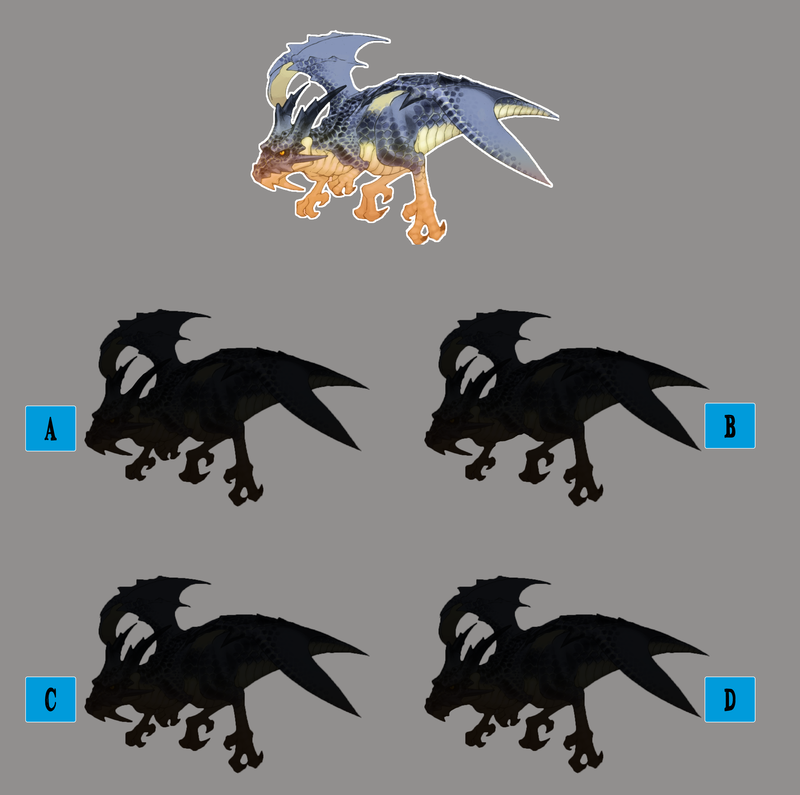 Challenge: Identify the correct shadow for the dragon. Shadow Dragon - Click Me! Day 21 Answer: Now the festivities can really begin. You are almost done with your decorations. Good job! Congratulations to the winners! Check out these beautiful stockings! Santa wears his big old red suit all year long. He's thinking of changing it up a bit this year. Do you have any fashion tips for him? 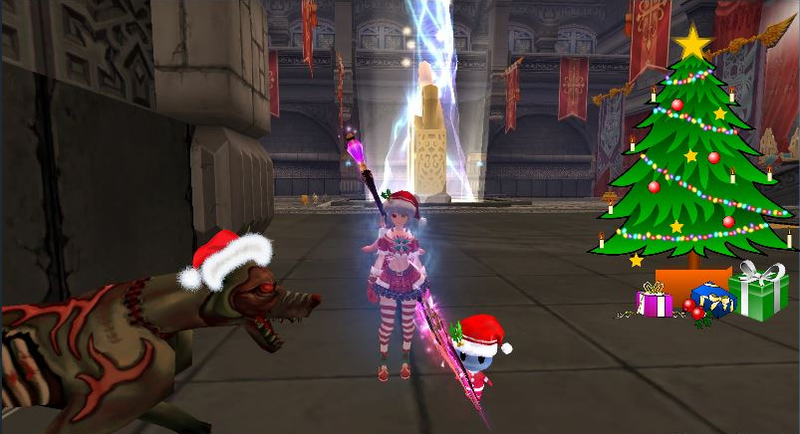 Dress up for the holidays and send in an image of your character! Day 22 Answer: Excellent work! Saphael is safe for landing! 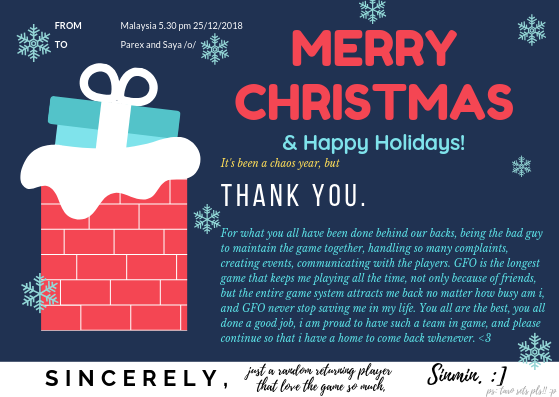 Thank you and expect your gifts soon, Messengers! Congratulations to the winners! Time is almost up! Tomorrow is the big day! Santa is checking his list. Have you given Santa your wish list? Challenge: Write a Christmas wish list. 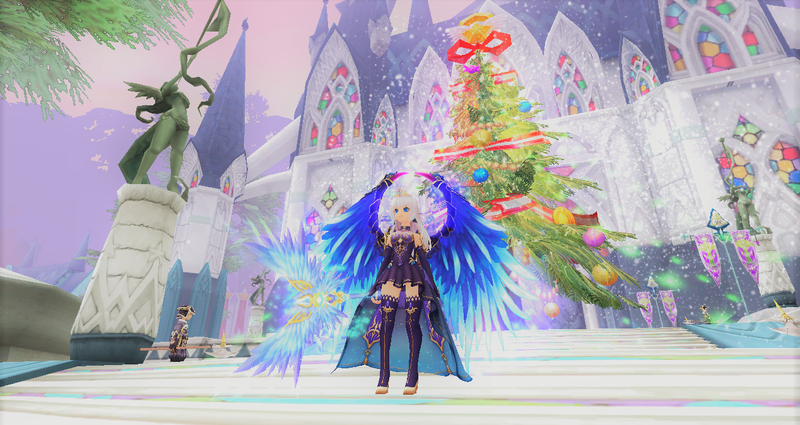 Write three items that you'd like to receive this Christmas! Day 23 Answer: Fabulous! You all have splendid sartorial skills. Santa will look his finest for the holidays thanks to you! Congratulations to the winners! At last, the day is here. We wish you a day full of holiday cheer! May you enjoy the new year and the crisp cold weather. We hope you had a good time with us together! 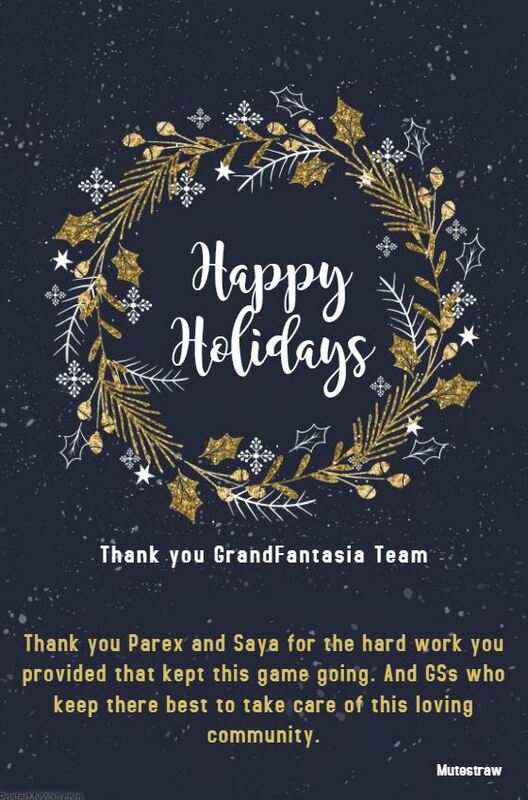 Santa Parex and Saya Claus have been working endlessly at the toy factory to ensure that our Sprite Messengers continue to have their gifts and a good experience all year long. We want to thank them for their efforts! 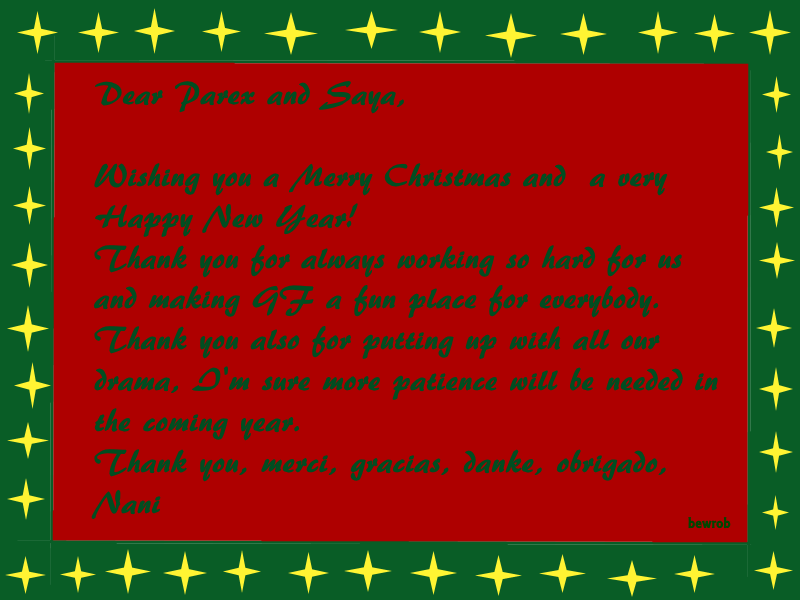 Challenge: Please write a thank you note or make a Christmas card for Parex and Saya! You may use any material or medium for your card. Please upload any images and submit the link as your entry! 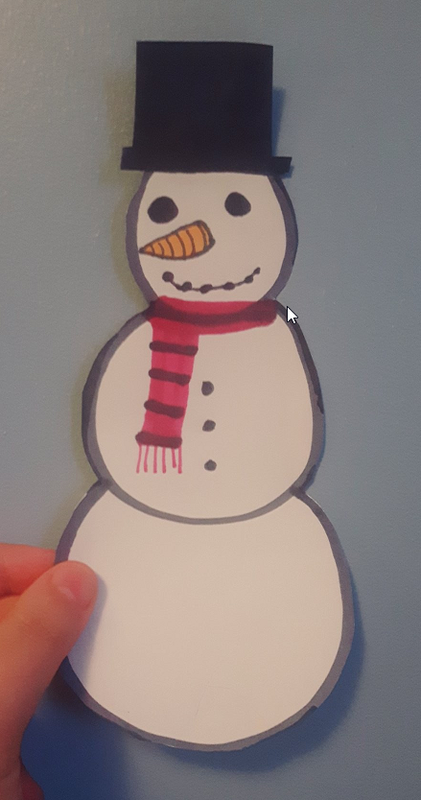 Day 24 Answer: Ho ho ho! 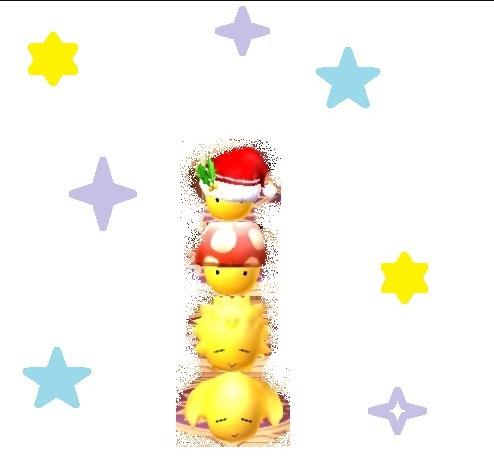 These are some great wish items! Santa will have lots of work to do this year. Thank you for your entries and congratulations to the winners! 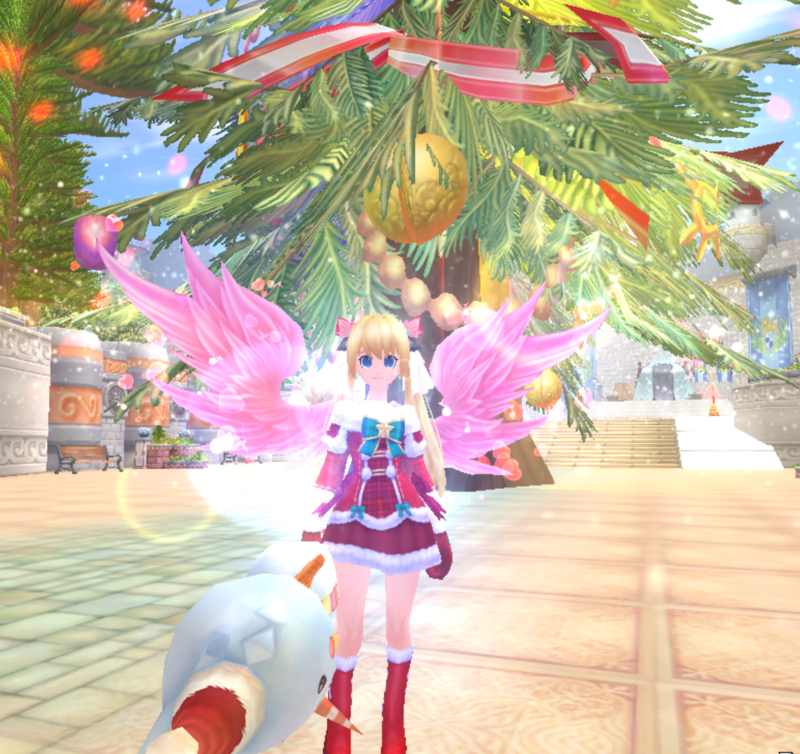 We also want to thank you for participating in the event and wish you a Merry Christmas and Happy Holiday season!!! 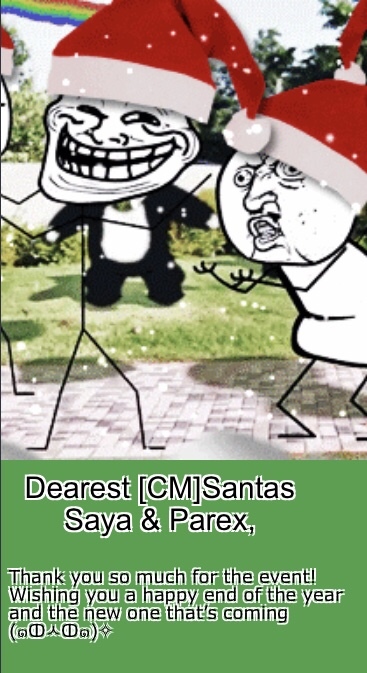 I will be posting some of the cards for Santa Parex and Saya without editing. If you'd rather not have your cards or notes posted please let me know! Thank you for all the wonderful wishes, the CMs and GS appreciate it! 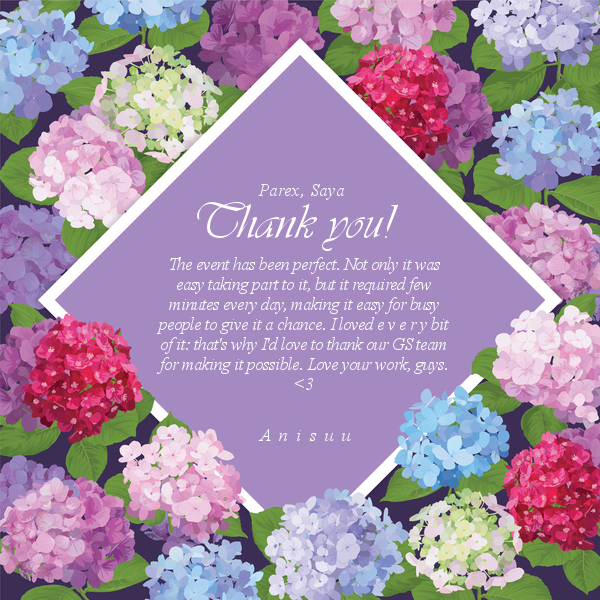 Day 25 Answer: Thank you for all the heartwarming letters! 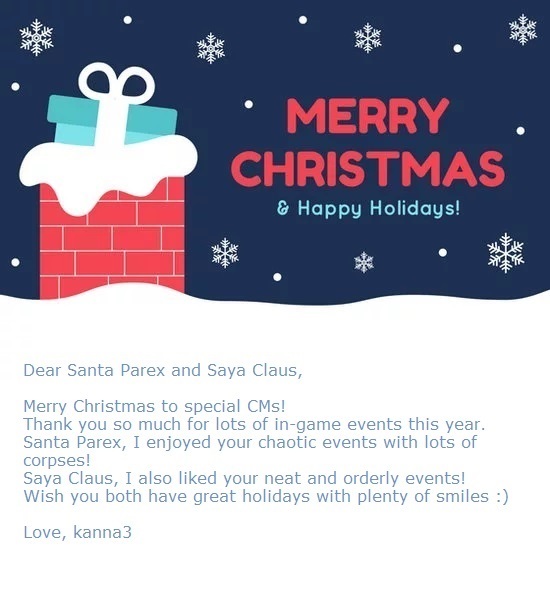 Parex and Saya were very happy this year! Thanks so much guys for your participation! The cards gave me a little tear an happiness tear don't worry!